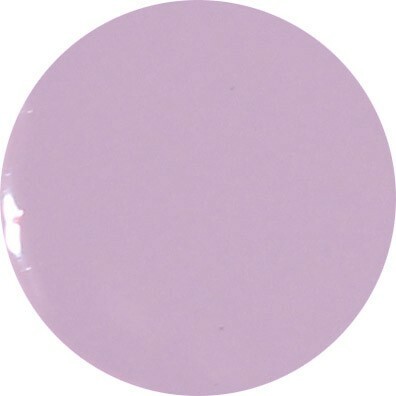 Morovian Place nail polish is a beautiful, delicate and evocative opaque lilac creme. This 9-Free more natural purple nail polish shade is this season's must-have! True to the United Kingdom's historic tradition of hospitality, Moravia Place was named after the early settlers from the traditional medieval kingdom of Great Moravia. Fortunately, you now don't need to travel great kingdoms, to find this beautiful purple nail polish colour! For a professional salon manicure, old nail polish and impurities - especially oils - should be removed from the nail plate and surrounding area, prior to using any nail polish. The secret to extending the life of your Morovian Place manicure is to make sure that the nails are entirely free of oils, which will stop the nail polish from properly adhering to the nail plate. Once the nails and surrounding areas are clean, you're ready to start! -Apply Prestige Base Coat Nail Polish without interruption and with long, even strokes, from cuticle to tip, until the whole nail is properly covered. Painting from the little finger and working along to the thumb, and then moving on to the remaining hand, until all ten nails are covered with base coat. -With your Morovian Place nail polish, begin with the first finger, to paint this beautiful purple nail polish colour, again from cuticle to tip in long, even, uninterrupted strokes. Paint until each nail is covered in this way and, when all ten nails are coated, repeat with a second layer of Morovian Place. -If painted in this manner, this second layer will provide a nice glossy purple nail polish covering. -Don't forget to apply your Prestige Top Coat Nail Polish over the nail and, in long even strokes, this time with a generous layer of top coat nail polish, make sure you also stroke your top coat along the very edge of the nail tip, which will help to seal in and lock your purple nail polish and prevent premature chipping. The secret to manicure longevity, is to make sure the nails are oil free before you apply your basecoat and make sure the purple nail polish colour is very thinly applied with each of the two coats you give, before your generous layer of Prestige top coat nail polish is added, to provide that fabulous salon finish! You may also like other purple shades, such as Bourne Street, which is a stunning lilac colour, or Lamont Road, which is a smokey, darker purple shade, with a more blue tone to it, and which together make really lovely complimentary nail varnish sets. 12ml of luxury 9 free, more healthy delicate lilac purple nail polish.